Last night, a dear friend of mine who lives in Georgetown, or Washington, D.C., died. I dreamed of her departure before I received word that she had passed, and this morning when I opened two e-mails, I was not surprised by the news… just saddened. 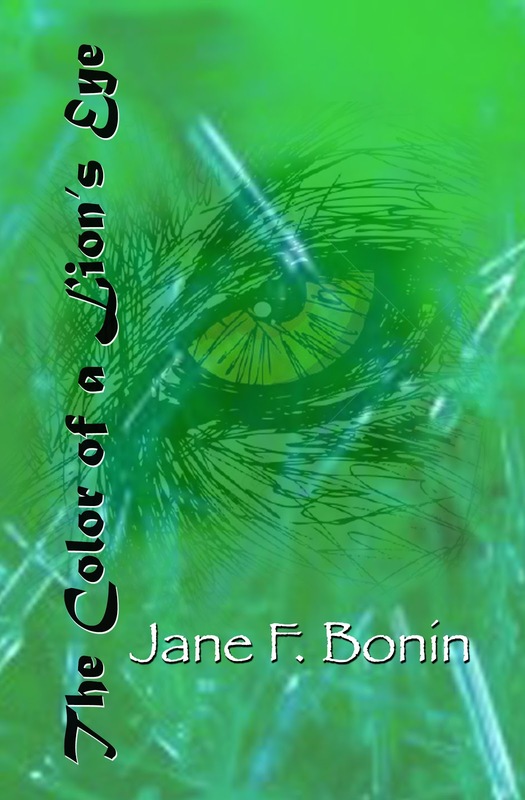 Jane F. Bonin was an old friend who lived in New Iberia, Louisiana for many years, and we became acquainted during the time she taught English at the University of Louisiana in Lafayette, Louisiana. She was an early encourager of my poetry writing and once co-authored a graded reading list for Iberia Parish Schools with me. During the early seventies, we also co-authored a house journal entitled Epiphany Tidings, an Episcopal church newsletter, and served on the board of a kindergarten sponsored by The Church of the Epiphany in New Iberia. 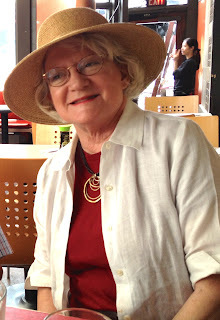 Jane’s contributions to Drama at the University of Louisiana at Lafayette were formidable ones — she wrote three books in this genre: Prize Winning Drama, Maria Fratti, and Major Themes in Prizewinning American Drama. She also received The Distinguished Professor Award, and when she retired from ULL and migrated to Washington, D.C. she distinguished herself on the staff of the Foreign Institute in the U.S. State Department. Her book of twenty-four vignettes has circulated around Georgetown and Washington, D.C. and has found an attentive and appreciative audience — only a few months before her death, she read excerpts to members of St. Alban’s Episcopal Church, hoping to inspire them with the desire to serve some charitable mission. Two months before her death, Jane made a last trek to France, which she loved, and in her spare time, she kept up her French lessons. At times, she sang in a large chorale in Washington. 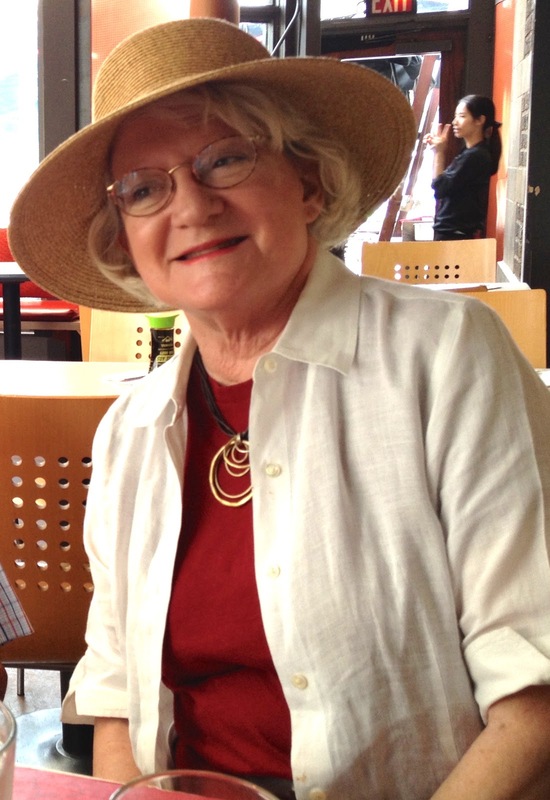 She loved music, language, art (Jane was once a docent in an art gallery), theatre – all cultural pursuits. She could also tell a bawdy joke, lift a glass, and prepare a gourmet meal for her friends. Jane’s “tribe” of friends was large and diverse, and she was among those who advocate “nothing human is alien to me.” She embraced the disenfranchised, as well as those who moved in the circles of advanced culture. Back in the 70’s and 80’s I had the privilege of working with her in the Hunger Project. Our job was to raise both money and the consciousness of people about the seriousness of hunger in the world. At that time I was an executive director of a Girl Scout Council, and we staged a large event in Lafayette, Louisiana, using all we had learned in an old self-actualization organization, EST, about “intention” to end hunger. We spoke to a packed crowd. Jane went on to utilize her experiences in her role as a Peace Corps Director, and I later became an ordained deacon and Director of an outreach mission. Through the years I never lost touch with this charming woman who, like most humans, had many faces and many talents. I last saw her this past year when she visited her daughter, Knowles Harper, at Sewanee, Tennessee. Somehow I knew it was a farewell visit because she seemed to be slipping away, although she hadn’t been diagnosed with cancer at that time. I told her we would visit again, and she said to me, “Any time you want me to meet you in some vacation place, I’m game.” She was always game for an adventure, but I didn’t follow through. I wish I had, and we could have gone to a prize place on my bucket list – the isle of Iona, a thin place where miracles happen. The next best thing I could do for her was to put her on the prayer list in another thin place, St. Mary’s Convent here at Sewanee – and, actually, the Order of St. Mary here has a sister Order in Malawi. It is the day after St. Benedict’s Feast Day, but we will celebrate it today, and I got up before dawn and dressed to go out to the Convent of the Order of St. Mary. The Sisters have probably been awake for some time, getting the chapel ready for Morning Prayer and Eucharist. Outside, the temps are in the low 70’s, and July heat will soon climb to the high 80’s on the Mountain. I check to see if our herb garden is withering, then censor watering today, praying for rain so that I won’t run up the water bill. I remember my first July here at Sewanee, how we unwittingly watered everything twice a day and received a water bill totaling $247 one month. I stand in the yard a few minutes, savoring the mountain air and remembering how lonely I was after moving here from New Iberia, Louisiana where I had lived almost 50 years. I discovered the chapel at St. Mary’s Convent the following year (2008) and became an Associate of the Order after months of practicing a Rule similar to St. Benedict’s, which I have tried to follow since that time – his Rule of “Cross, Book, and Plow,” or “Prayer, Study, and Physical Work.” Many Tuesday mornings, I grouse about getting up at 5:30 or sometimes (but not often) at 5, bathing and dressing before 6:45 when I head out for the Convent. Roses had been placed behind the altar; sadly, they are no longer being arranged by Sr. Mary Zita who had a stroke a few months ago and is in a wheel chair. 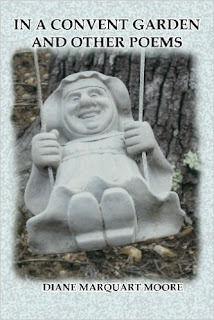 When I wrote my book of poetry In A Convent Garden, Sister Mary Zita was the first poem in the book. She always sits in the chair ahead of me, “an imperishable presence/abiding like a newly-given morning…and we wonder where she learned/the art of flower arrangement/that makes the Madonna smile…” Now, the arrangements are smaller, and behind the simple altar only one vase holds a tiny spray of knockout roses. In the homily today, Sister Madeleine Mary tells us we need to be like St. Benedict – not about his miracles in which he makes water flow from rocks, or reads the minds of others, or makes oil continue to flow from a flask, but about his pursuit of a life of devotion to God, practicing a non-materialistic existence while reverencing everything. Sister asks us to continue to follow the Benedictine Rule, written in the second third of the sixth century, a discipline to which St. Benedict urged his followers to hold fast, despite the political and religious chaos of his time and that is still prevalent in the post-modern world of our time. 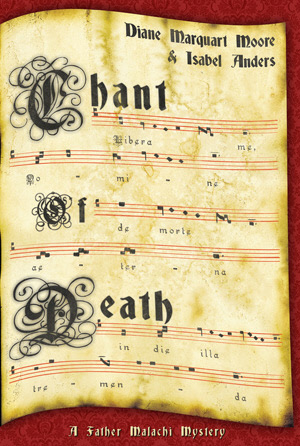 In 2010, Isabel Anders, the author of many religious books, who lives here on The Mountain, befriended me, and together we wrote a mystery set in a Benedictine Abbey in Louisiana entitled Chant of Death. 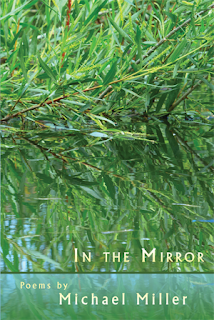 It was enhanced by Isabel’s selection of metaphysical quotes and focused on what it means to live a life of holiness fraught with spiritual challenges. Isabel and I’ve often said that the Spirit wrote this fictional account of life in a Benedictine Abbey, and on this observance honoring St. Benedict, I ruminate on the tale we created while enjoying listening to chant and researching the history of the Benedictines. Penny, the Convent dog who is a sub-deacon and a regular participant at Communion, got up during the singing and shook her fur in affirmation; Sophie, the Convent cat, stood outside the chapel door waiting for her turn to sit on my chair, where she isn’t supposed to sit because she sends me into allergic paroxysms. The summer interns, two lovely young women, took turns reading from the Old Testament and New Testament, smiling tentatively at each other when one of them read a passage threatening us with being thrown into an abyss if we don’t behave. We were all there, lifting every voice in praise of a good morning, and St. Benedict must have been hovering close by, pleased that we were recognizing his life, which had edified and inspired us. Where I have been waiting for several months now is in Sewanee, Tennessee…waiting for the mail to bring me the latest book of poetry, Where I Waited, by Louisiana’s premier poet, Darrell Bourque. To say that it was worth the wait is banal; the book is all that I anticipated. 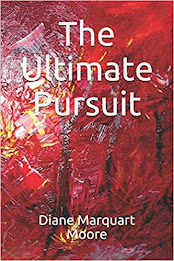 As I told Darrell, the Muse that sat on his shoulder as he ran every morning while he was creating Where I Waited (a time when Darrell writes many lines of his sonnets in his mind) was a very old, wise one who had been waiting to inspire him to write the poetry of his lifetime. “Mystical” is an inept word to describe the work. 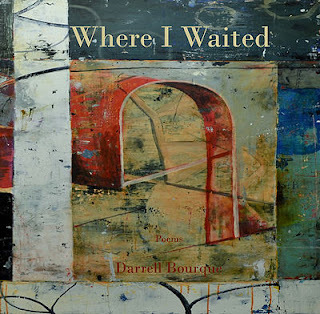 In this volume, the beautiful abstract paintings of Bill Gingles are paired with Bourque’s sonnets and must have also lain in wait for the moment to accompany the voices of iconic Creole-Cajun musicians and their wives and forebears featured in Where I Waited. In the words of the poet’s title poem, they are “… [those] voices all turn & wave & memory situated/in some arch between now & then…” Each expressionistic narrative poem is a song as poignant as the songs of the musicians represented. 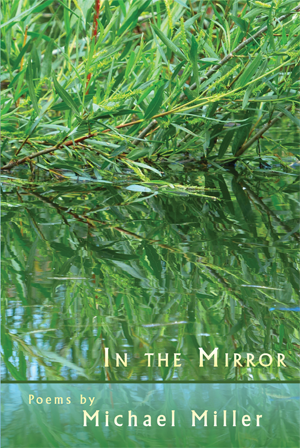 Bourque includes poems about the lives of Amédé Ardoin, Cléoma Breaux Falcon, Iry Lejeune, and Goldman and Theresa Leday Thibodeaux, musicians and their spouses whose songs have been kept alive by historians and anthropologists and reimagined by the poet. It was impossible for me to single out one or two poems as examples of excellence. As I read each poem and looked at the paired painting, I found myself reluctant to move on to another, and I was not disappointed by the work of artist and poet after I turned each page in this remarkable volume. I read through Where I Waited twice. “…In parceled light the only measure/I knew was true was measured sound. So, I made breakdowns/ & two-steps & laments, easy as flowers turning to sun. I broke/the mold of who I was supposed to be with air. Newly mown grasses were song & Caillette’s lowing too…Waltzes tied to the names of towns, /to branches in trees & to those cordoned off & lonely & broke…"
Only a highly-enlightened poet could enter the world of “there” and become the voice of deceased musicians traveling to “here,” as Bourque accomplishes with three of the music legends in this volume. The lyrics cross boundaries between physical and metaphysical to form a world in which there are no cultural fences, only the uplifting sounds of music that should be listened to and preserved. Equally as valuable as the poetry are the Notes in the back of the volume. They provide factual material that Bourque used to shape the voices and narration of the musicians’ lives. Where I Waited is a book that will be lauded by scholars, fellow poets, historians, and artists, and this blog, limited in space and by the attention of casual readers, is intended only to titillate those who want to further explore the work of Louisiana’s finest poet. Darrell Bourque, professor emeritus of English at the University of Louisiana Lafayette, directed the interdisciplinary humanities program and served as the first Friends of the Humanities professor. He is a founding member of Narrative4, an international story exchange program, a member of the board at the Ernest J. Gaines Center at ULL and a former Louisiana Poet Laureate. Two years ago, he was named Louisiana Writer of the Year by the Louisiana Center for the Book, Louisiana State Library, and this year he received the James Williams Rivers Prize in Louisiana Studies awarded by the University of Louisiana Lafayette. His latest book is Megan’s Guitar and Other Poems from Acadie, and his latest chapbook, if you abandon me, comment je vas faire: An Amédé Ardoin Songbook, has become the best selling book in the history of Yellow Flag Press.